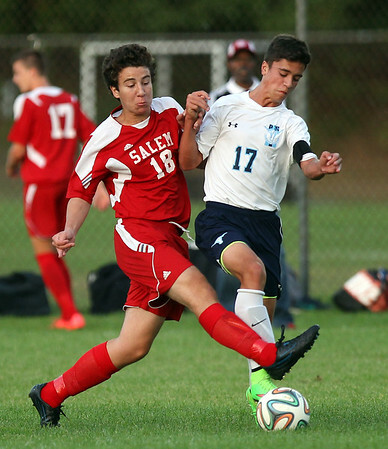 Salem midfielder Isaac Vural (18) steps in and challenges Peabody midfielder Jaoa Correia (17) for the ball during the first half of play. DAVID LE/Staff photo. 9/9/14.